I swore I would not walk around some ring, without a dog, twirling around, and pointing with my hand at things that were not there. She did not foresee, that one year in Enumclaw, while watching Barb Benner’s Malinois do a tremendous send at a 90 degree left turn into a set of weave poles then wrap her body around it and come out the other end just as excited as when she went in, I was hooked. Before my life with dog’s…less than perfect. There have been several trainers that encouraged me in the early days: Gloria McGrath, Ann Marie Silverton, Janice De Mello, Sylvia Bishop, Patty Russo, Mary Gutknecht, Lisa Bowers and many others who I have yet to meet and work with. 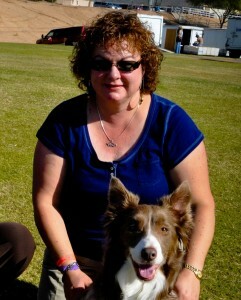 In more recent years Daisy Peel thru the Awesome Paws Handling System as well as Rossanne Demascio. Many principles from the above still influence training decisions today. The past 5 years has been an incredible journey growing a full time business as an Agility Instructor, coach. It is not easy putting into words, my appreciation to all of students that have come, gone and stayed, thank you all. So much more to learn together. Keep reaching for the stars and you will land on your feet running, keep it up everyone! My joy for training animals started back before the 1980’s with her Morgan Quarter horse cross – Cinnabar. I enjoyed the games classes more than the pleasure classes. They earned High state Gymkhana and Games awards. My horse Cinnabar enjoyed trail rides in the hills and pastures of Alaska along the China Hot Springs road. As a teenager I enjoyed the company of shelties which are not the same drivey and adventuresome shelties of today. I trained companion, Shadow and Shady, in obedience at the local fair grounds. Shady and I went on to compete in competition obedience for a few years with many HIT awards along with top 25 in the breed nationally a few times. WIOC was an achievement to be reached for back then and we were on the state team at each level, Nov, Open, Utility. With a Runner up in Novice for overall states. Open 6th overall and Utility I think was a 4th place over all. We had never competed in Utility but there we were on the team! In the mid 1980’s Mom and I moved to CA after her father’s sudden passing. Mom had always wanted to be in warmer weather so off they went with a few shelties in tow. There I played in obedience again with my sheltie Loni and earned her CD (Loni is my sheltie version of Kitt, dear and sweet and loyal). The new pup on the block is Franky, (2014) a full brother to Ray with some similarities between them. He is fun and very playful and loves his big brother Ray. He is learning many things to build teamwork in life and agility, herding may be involved. River Run’s Rock-N-Pop AX, AXJ, NF. Ray is a “blue” male border collie named Ray (DOB: Feb 2010). He is a super boy, growing up and having fun chasing them in the fields. Lil Gem was not too happy the day she realized Ray could out run her, biting and snapping insued. I compete in AKC and in USDAA, European Open, World Team Tryouts. 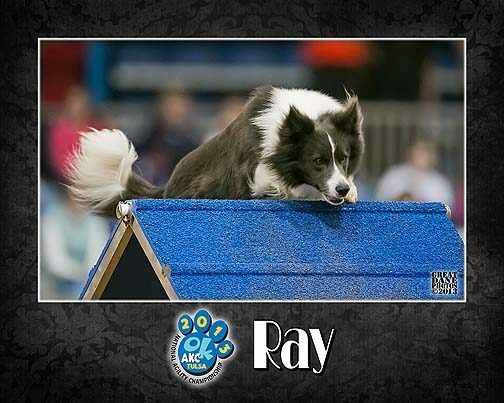 I am looking forward to attending the AKC nationals and Cynosports in the years to come. 2015 Cynosport, did not attend. Ray recovered from a shoulder injury while jumping a fence. 2014, Morgan Hill, CA Grand Prix, Finals 5th, Semi-Finals 10th. 2014 Team Standard 7th pl, 13th in overall TEAM finals with Nancy/Ky, Kathleen/Vivian. 2014 An incredible event for us, Clean in 6 runs and placed in several rounds. Ray was .01 out of the 26” finals class, super job big boy! 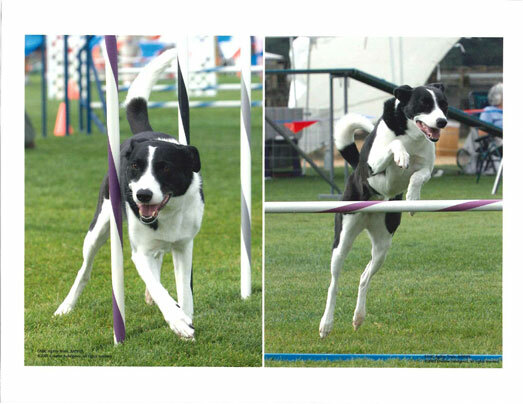 AKC Nationals 2013 – placed well in Jumpers and T2B. Jan 2014 1st overall ISC classes. Jan 2013 2nd ISC Std. Jan 2012 2nd overall ISC classes. 2015 YTD, NW Regional 22” Biathlon Champion, Masters Challenge Jumpers, Ray 2nd. 2014 Cynosport’s Overall Team Finals 13th, Grand Prix finals 5th Team Standard 7th pl. 2013 he sits in first place in the 26” Tournament class!! At the tender age of two at the 2013 AZ Regional, he earned his ADCH and his first Grand Prix bye. Cynosport October 2013 championships, Ray earned a 7th place in the Steeple Chase finals! MC Std a 8th pl & Grand Prix Semi-finals bye. July 2012 RHR NW Regional – Bronze in Steeple Chase Finals. 2016 Cynosports, Performance Grand Prix Finalist 5th & Perf. Speed Jumping finalist. ADCH, MACH Gem, PT is a powerful speedy little girl. She will always be young and powerful and likes to push her boundary’s…most all the time anywhere any place. Thus consistency has been a struggle for us. As she matures we are enjoying our time more and more in the agility ring together and is always available to make you smile (and remind me they are not all like Ray) with her chubby grinning cheeks and perky ears as she flies off the teeter. She likes to run for others too. We have been dabbling in Obedience training and she loves all the treats she earns. Nov 2013 two Beginner Novice Q’s as well as an AKC PT herding title. My sweet Kitt, (2001) A Lilac & White Border collie who stole my heart at 10 weeks when she came to live with me. Having a unique color her breeder kept her back to find a home that would not exploit her color traits. As luck has it she has exceptional temperament and structure as well, so a true find she has been. She ages now at 12 but is still the most docile dog and a dear sweet soul. Thankfully she was still available when I researched pedigrees and found her at River Run kennels. Nikki, (1996) Long past now but still reminds me that just because it’s a border collie, will not mean they go fast or have a desire to please. Nikki UD, was a simple smooth coated girl. She never had to say Top dog, she just was. 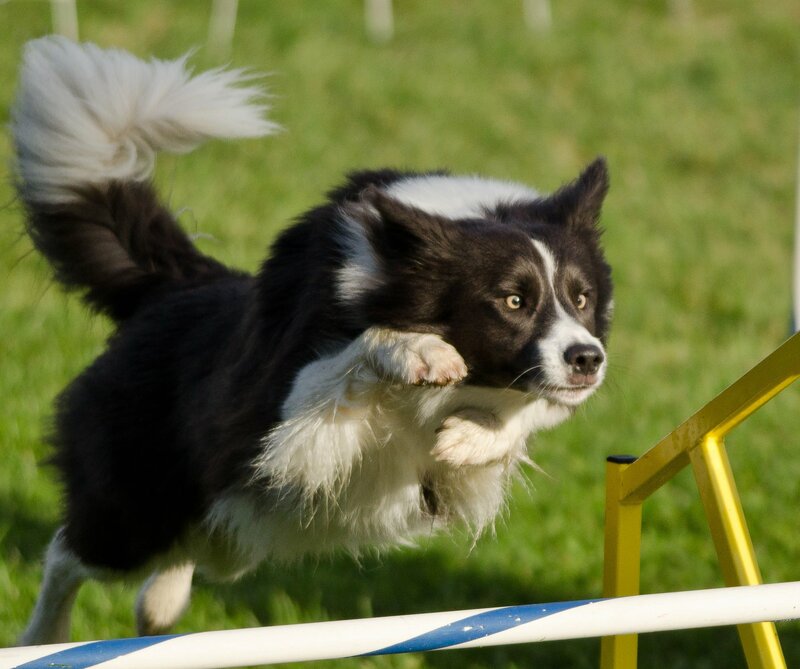 A Traditional B/W Border Collie who barely made time in the agility ring. We worked hard to make NADAC times and pulled off her NATCH there with a loosely wheeled Jumpers Q to finish the title. She was special in so many ways, I miss you Nikki. I taught at It’s a Dogs World in Sumner, WA for 5 years and now I am a full time instructor in 3 other WA locations. I even dabbled in breeding 3 Sheltie litters and in the conformation ring.